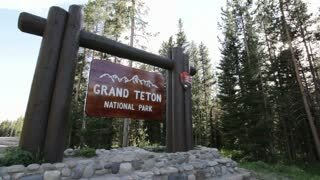 Search Results for "teton national park"
Driving POV Grand Teton National Park forest 4K. Point of view drive. Grand Teton National Park is a popular destination for mountaineering, hiking, fishing and other forms of recreation. Grand Teton National Park northwestern Wyoming. Driving Grand Teton NP forest to mountain POV 4K. Point of view drive. Grand Teton National Park is a popular destination for mountaineering, hiking, fishing and other forms of recreation. Grand Teton National Park northwestern Wyoming. Driving POV towards Grand Teton NP Mountains fast motion 4K. Timelapse. Point of view drive. Grand Teton National Park is a popular destination for mountaineering, hiking, fishing and other forms of recreation. Grand Teton National Park. 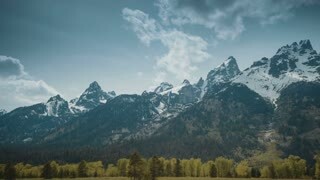 Grand Teton National Park mountain Wyoming pan 4K. Grand Teton National Park northwestern Wyoming directly south of Yellowstone. The mountain range extends 40 miles with peaks of over 13,000 feet. Grand Teton National Park Mountains road traffic 4K. Grand Teton National Park northwestern Wyoming directly south of Yellowstone. At approximately 310,000 acres, the mountain range extends 40 miles with peaks of over 13,000 feet. Jackson Wyoming main street traffic stores 4K. Jackson is a town in the Jackson Hole valley of Teton County, Wyoming, United States. A major gateway for millions of tourists visiting nearby Grand Teton National Park, Yellowstone National Park. Jackson Wyoming elk antler traffic tourism 4K. Jackson is a town in the Jackson Hole valley of Teton County, Wyoming, United States. A major gateway for millions of tourists visiting nearby Grand Teton National Park, Yellowstone National Park. Jackson Hole Wyoming tourism Elk Antler Arch 4K. Jackson is a town in the Jackson Hole valley of Teton County, Wyoming, United States. A major gateway for millions of tourists visiting nearby Grand Teton National Park, Yellowstone National Park. Jackson Wyoming traffic intersection Elk Antler 4K. Jackson is a town in the Jackson Hole valley of Teton County, Wyoming, United States. A major gateway for millions of tourists visiting Grand Teton National Park, Yellowstone National Park. A time-lapse of Grand Teton as seen from Taggart Lake in the winter. This time-lapse was shot in Grand Teton National Park. Time lapse of thunderstorm forming over the Teton Range in Grand Teton National Park, Wyoming. Jackson Wyoming busy main street traffic stores 4K. Jackson is a town in the Jackson Hole valley of Teton County, Wyoming, United States. A major gateway for millions of tourists visiting nearby Grand Teton National Park. Teton Mountains in the Rockies, Grand Teton National Park, Wyoming, USA. Jackson Hole Wyoming Elk Arch main city street traffic 4K. Jackson is a town in the Jackson Hole valley of Teton County, Wyoming, United States. A major gateway for millions of tourists visiting nearby Grand Teton National Park.